High-flying circus stunts with a full orchestra backing? Yes please. If you love high-wire circus acts doing their stuff over the heads of classical musicians, this is the high-octane show for you. 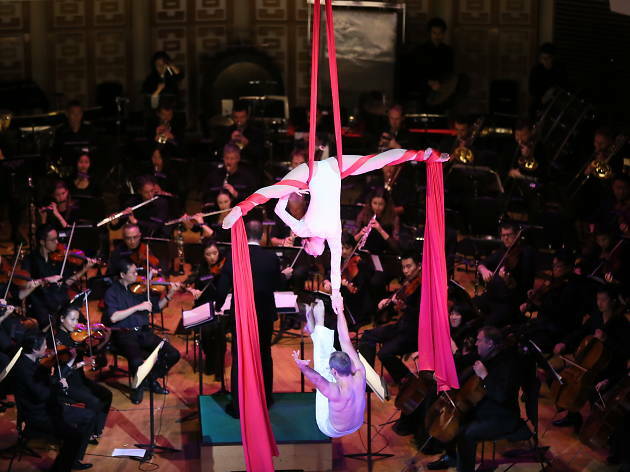 As part of the Swire Denim Series, the HK Phil presents Cirque de la Symphonie, a full-blown circus with a live orchestra backing. 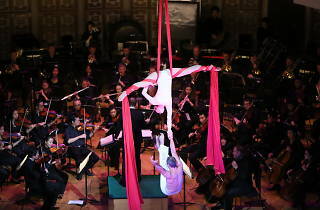 Acrobats, jugglers and contortionists perform to a variety of tunes, ranging all the way from the Mission: Impossible theme and Tchaikovsky’s Swan Lake Waltz to Bach’s Fugue in D Minor. Get your Asia Miles ready to redeem this performance, this promises to be a unique experience you won’t forget in a hurry.